Sol 2216, October 31, 2018. Curiosity’s Remote Micro-Imager took a two frame close-up on the target dubbed Grange (right). 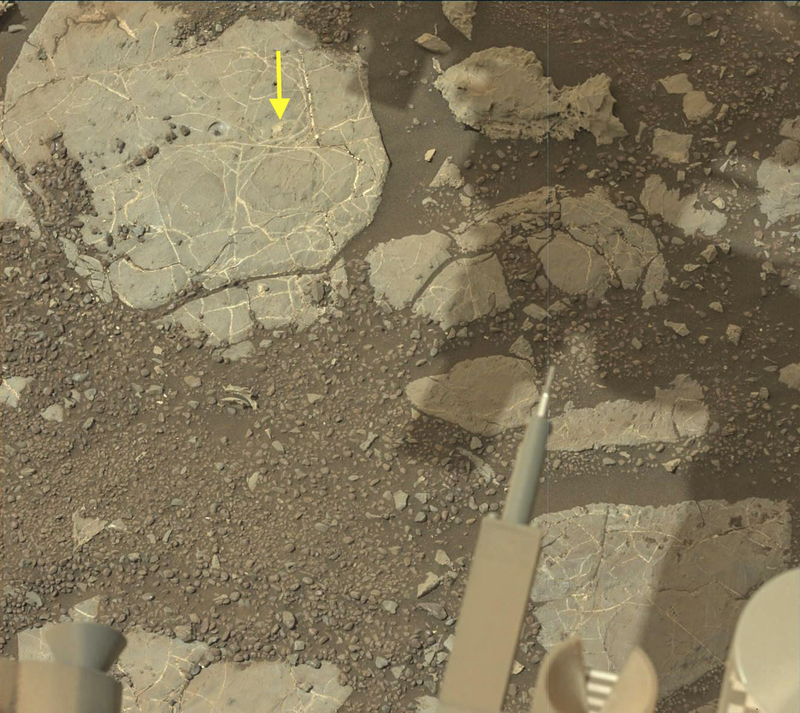 The location of Grange is shown by the yellow arrow in the Mastcam image from Sol 2214 (Oct 29); to the left of Grange is the shallow incomplete Inverness drill hole. Both images enlarge when clicked. Sol 2216 raw images (from all cameras). 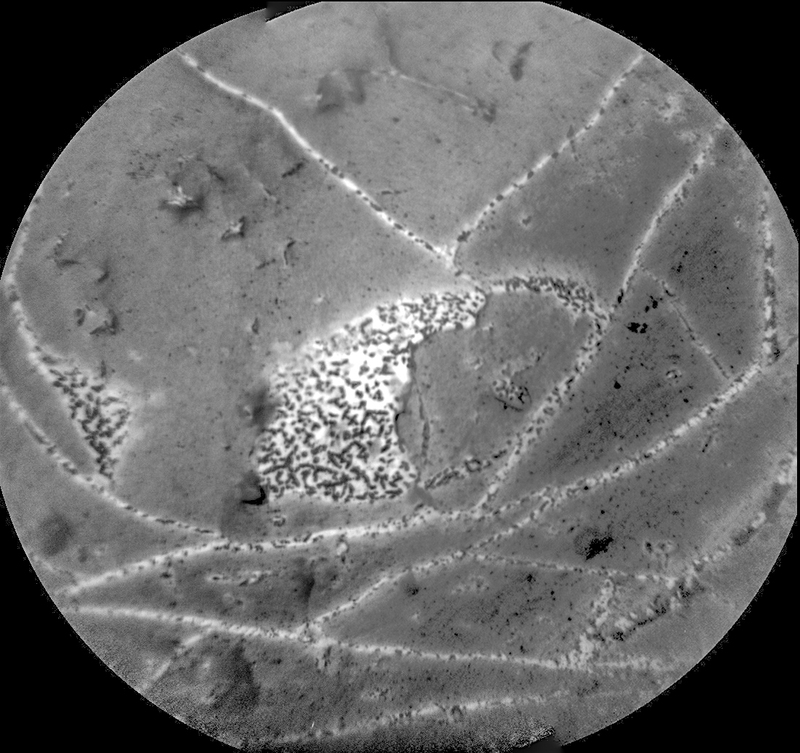 This entry was posted in Reports and tagged Aeolis Mons, Curiosity, Gale Crater, Grange, Inverness, Mars Science Laboratory, Mount Sharp, MSL, Murray Formation, NASA, Vera Rubin Ridge. Bookmark the permalink.